It’s beginning to (finally) feel a lot more like Fall around these parts! Goodness, the weather’s been in the 90’s, in November, in Texas! Though the lone star state definitely has its fair share of warm weather..it usually doesn’t last THIS long. So when we finally dropped temp and it was a cool 60 degree high, you know I just had to bust out my slowcooker for a warm soup dinner! 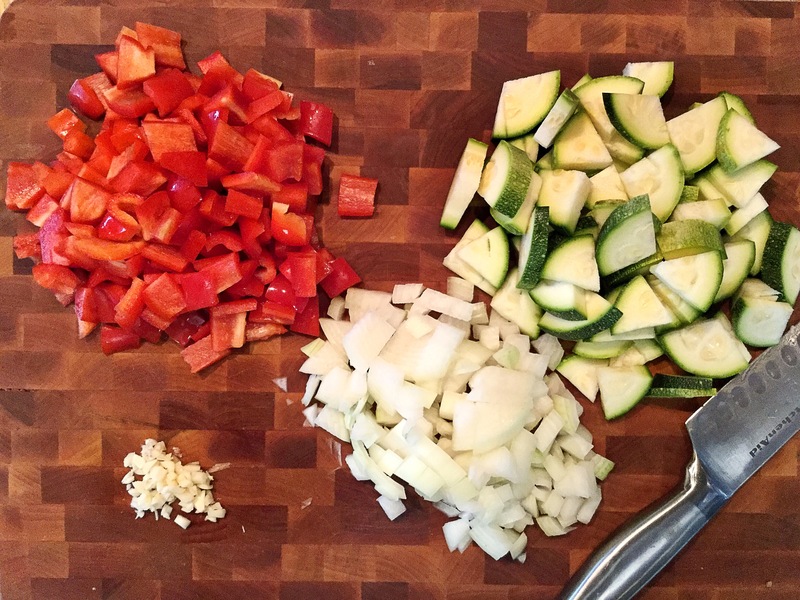 Begin by simply spraying your crockpot with a bit of non-stick spray, followed by the rinsing and chopping of your vegetables and heating a tablespoon or two of olive oil in a large skillet over medium heat. 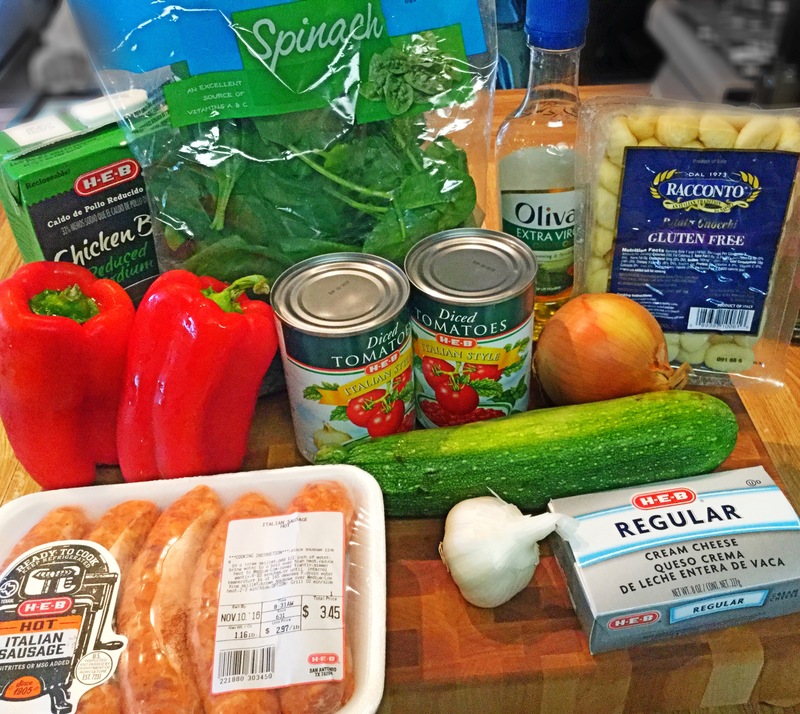 Once the pan is nice and hot, add in the Italian sausage. 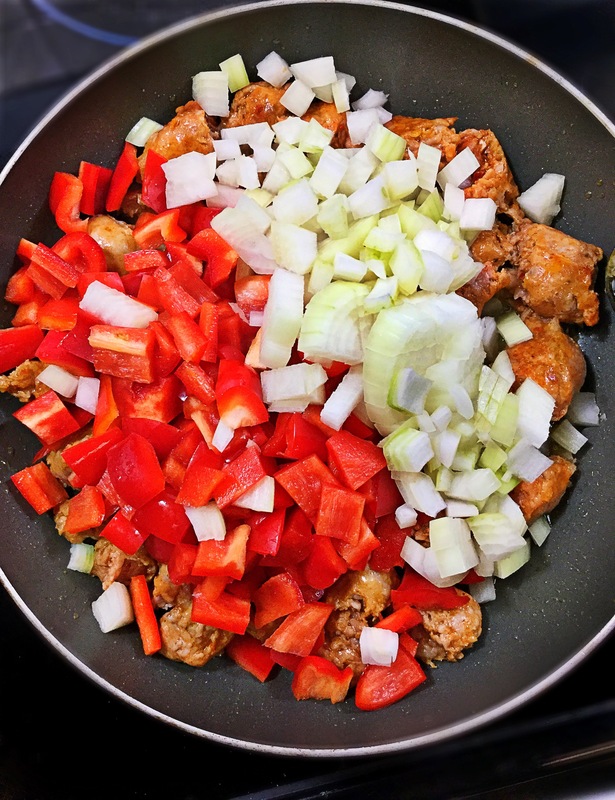 After it is about halfway cooked through you can then add in the chopped red bell pepper, onion and garlic. 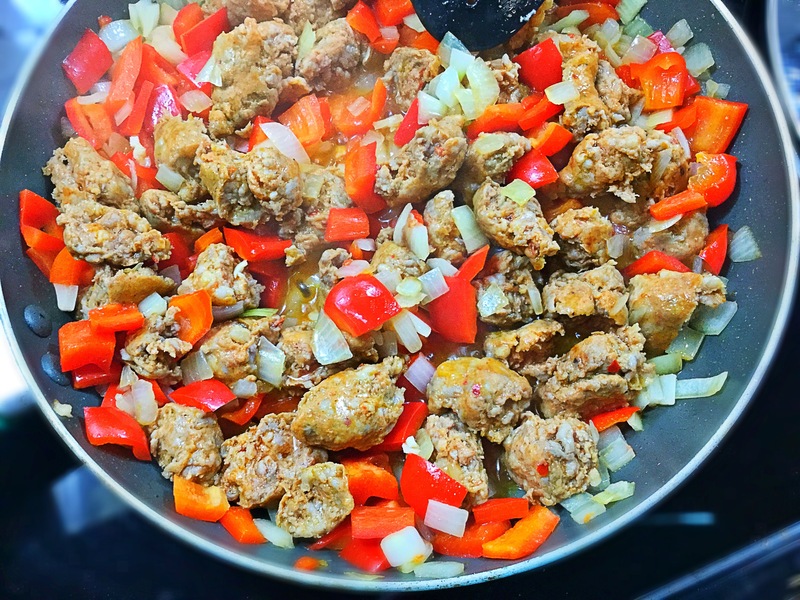 Allow the sausage to cook the all of the way through and the peppers and onion to soften. 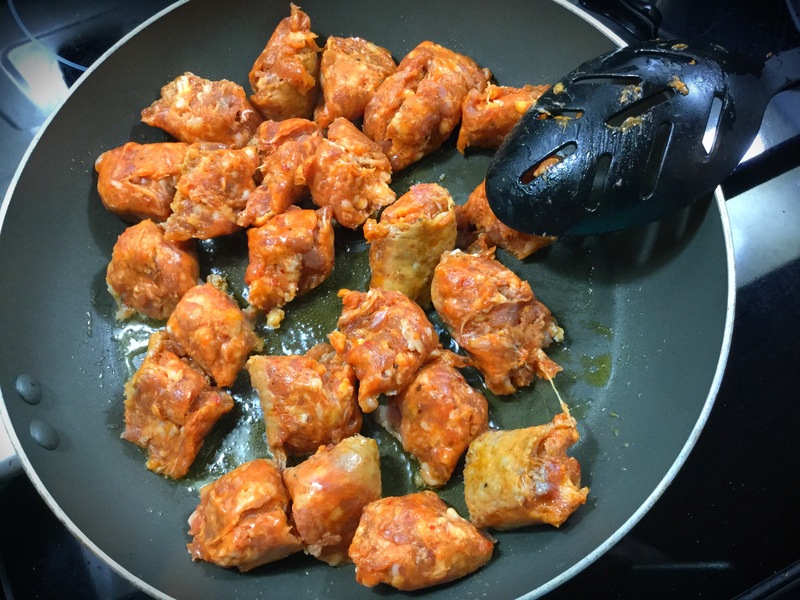 Now you can either drain the grease from the sausage mixture or just use a slotted spoon (Like I did) and scoop the cooked sausage and vegetables straight into the crockpot. 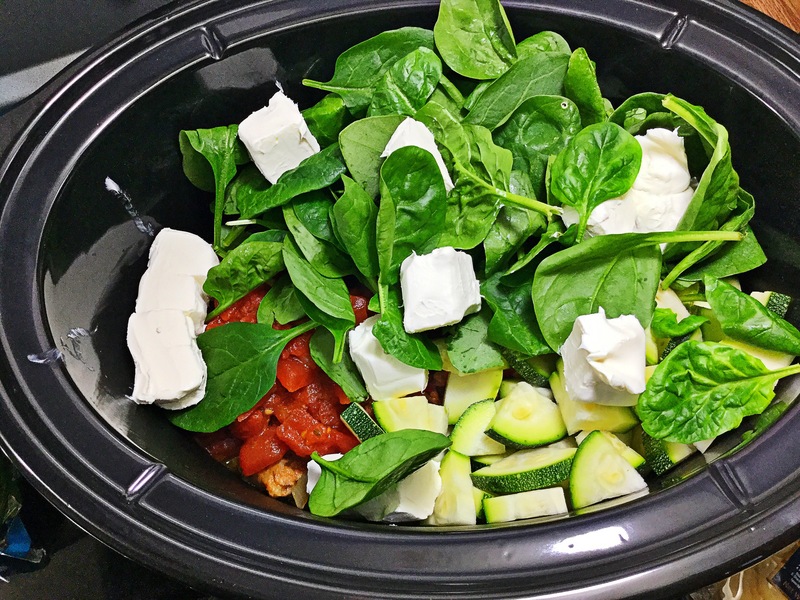 Pour in the two cans of Italian-style diced tomatoes, chicken broth, the sliced zucchini, spinach leaves and cubed cream cheese. *The spinach may seem like there’s no way it can fit, trust me…it will wilt pretty darn quick! Cover and turn on low..you can now step away for 6-7 hours. Yes!! 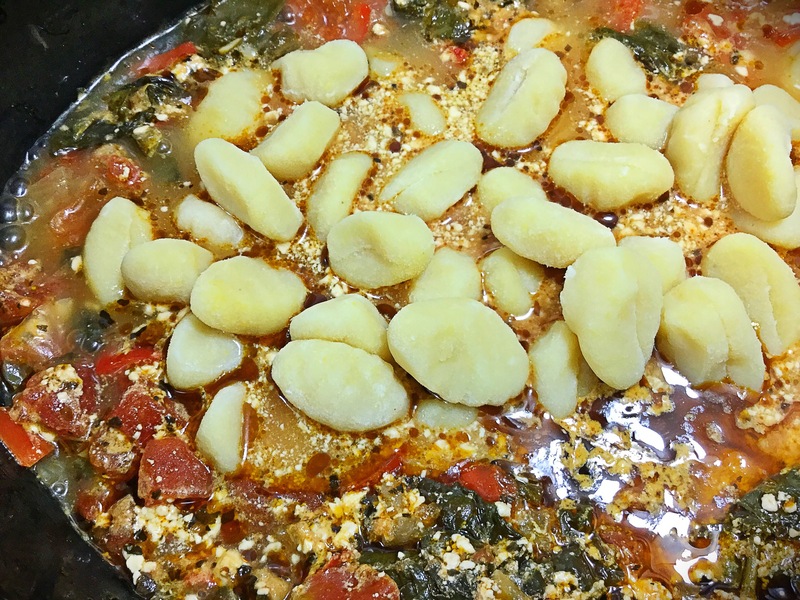 The hour before you’re planning on eating, add in the gnocchi. That last hour will soften and cook it for you. No need to boil it separately first! Score! See how simple all of that was? It’s done! 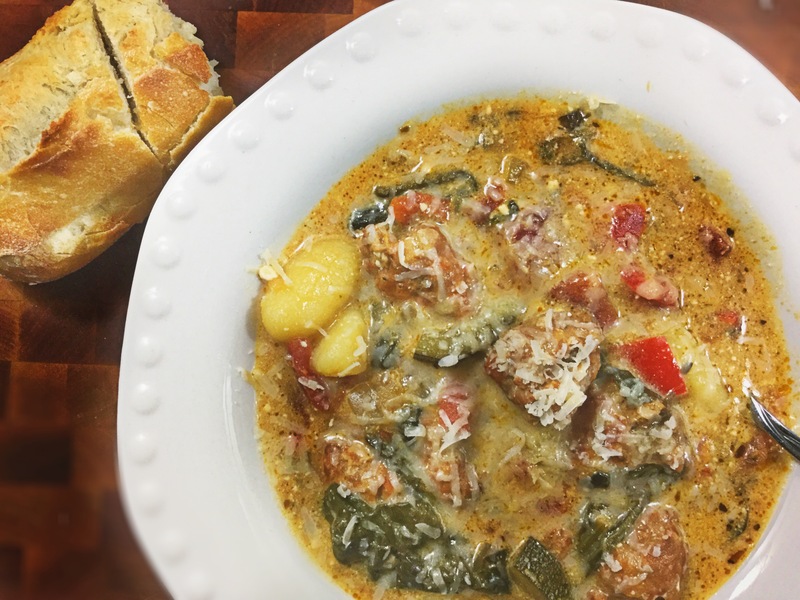 Serve this creamy, flavorful, hearty soup alongside a piece of buttered crusty bread and you have yourself a meal! Finish with a snuggly blanket on the couch ;).